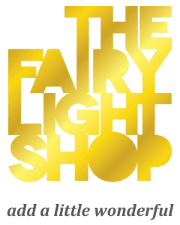 LED fairy lights and festoon lights are the perfect outdoor lighting solution; string lights, icicle lights, fringe lights, curtain lights and festoon lights look great in trees, across a courtyard, in the garden or on the patio. Outdoor lighting never fails to create a magical atmosphere and brings ambience to any outdoor space all year round. Icicle lights, fringe lights and curtain lights are ideal to highlight architecture and rooflines while the re-chargeable LED globe lights are a fun addition to the garden, patio and perfect to float in the pool. Luminaria lanterns offer a wonderful solution for temporarily lighting pathways or to create elegant lighting formations. Low voltage and enviromentally friendly.